Welcome to the final installment of this 3 part guide! In the previous section, we went over how to configure server blocks, move our test pages into the proper directories, creating symbolic links, and editing our host file. In part 3, we will be installing MySQL and PHP, configuring security settings, and ensuring Nginx can serve PHP files. Let’s get started. Press qto quit out of the service status page. 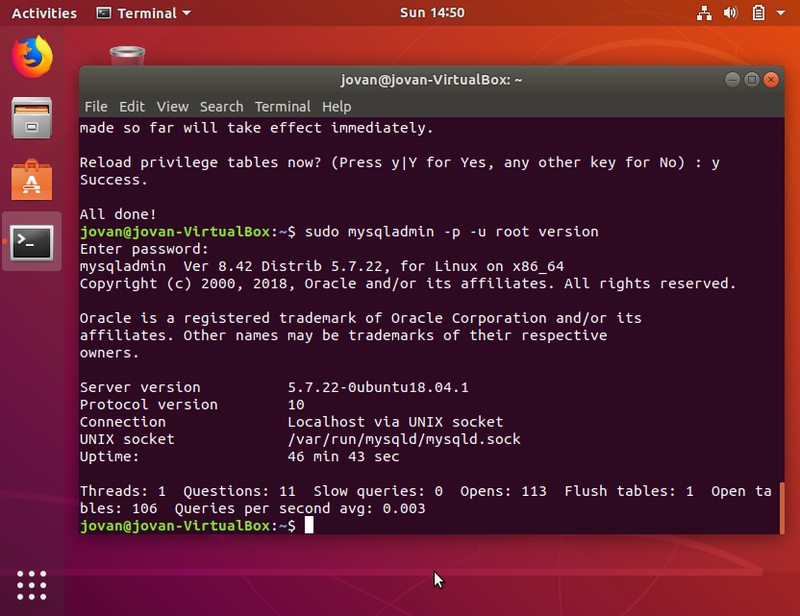 You can now run the command mysql_secure_installationand will be prompted to create a root password for MySQL. You will be asked to set up the Validate Password Plugin. This isn’t really necessary so we can skip this by choosing the “No” option. After being prompted to choosing a secure password, you will be asked a series of questions. For this tutorial, we will be choosing “Yes” for each option. A clean install of MySQL should result in this version page. 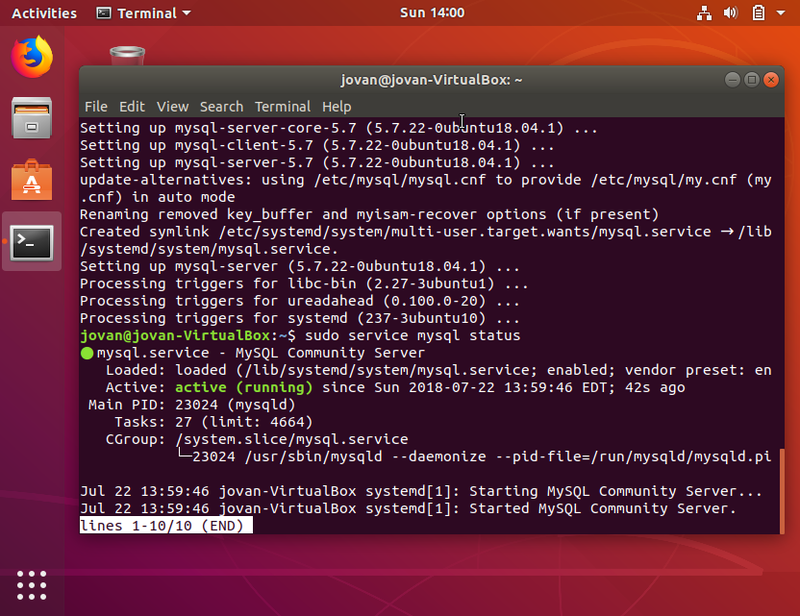 You’ve now successfully installed and configured MySQL on your soon to be complete Ubuntu LEMP stack! Nginx needs some configuration and tuning before it can start processing PHP files. There’s an easy solution to this. We can install php-fpm. Let’s begin by updating the package lists and installing php-fpmalso while installing php-mysqlso the MySQL database can communicate with PHP. Your version of PHP may vary pending on when you are going through this installation. In this version, I’ve downloaded and installed PHP version 7.2.7. 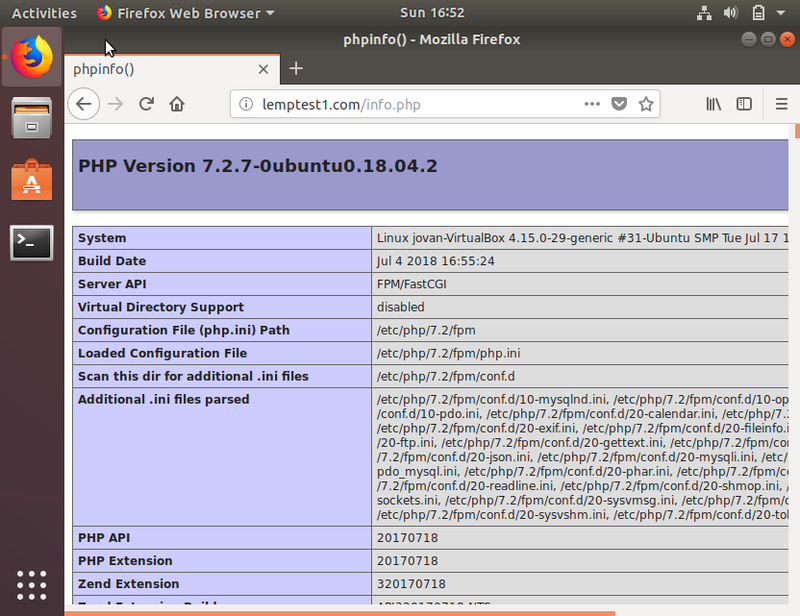 Also, depending on the version of Nginx and PHP you are running, you may need to manually configure the location of the PHP socket that Nginx connects to. 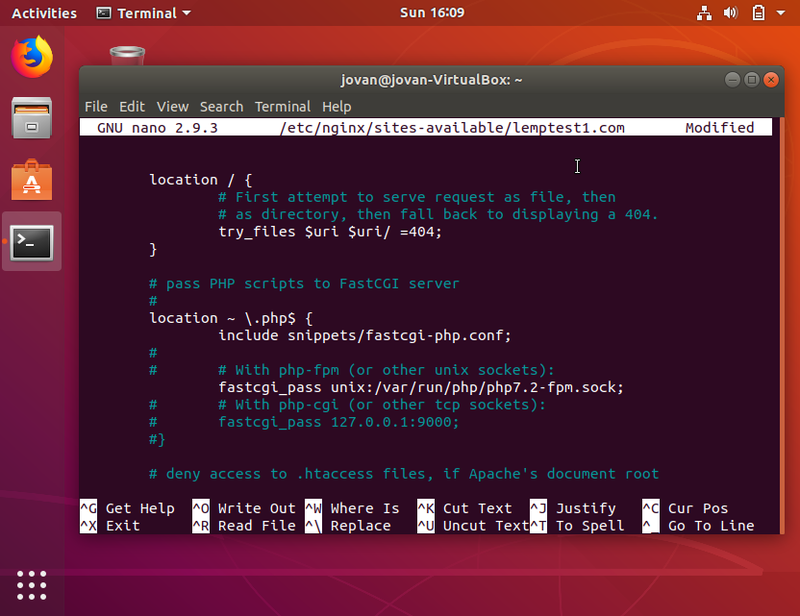 You can list the contents for the directory./var/run/php Run the following command and confirm the output. We’re almost done! We need to make some changes to our Nginx server blocks. The location of your server blocks may vary, but for our tutorial, ours are located in/etc/nginx/sites-available/lemptest1.com& /etc/nginx/sites-available/lemptest2.com. Let’s go into nano and edit the lemptest1 file. We’re also going to make sure our domains are listed by the server_name line. See the screenshot below if you are still confused. You will need to do this for every server block you configured, so in our case, we will need to repeat this process for nano /etc/nginx/sites-available/lemptest2.com. For the sake of keeping this guide short, I won’t repeat myself so just run through the same steps for each server block. Now it’s time to test all of our work. To see if PHP is running properly, we’re going to create a new PHP file called info.php. This file will live in the document root directory located in within our domians. We will place an info.php file in both/var/www/lemptest1.com/public_html& /var/www/lemptest2.com/public_html. Save and close out of nano. If done successfully, you should be able to go lemptest1.com/info.phpand see the following page. You’ll see this page if PHP has been configured correctly. The phpinfo()string outputs a large amount of information about the current state of PHP. This is helpful when testing but it is importnat to remove this file if you ever put your server out into production. That’s it! 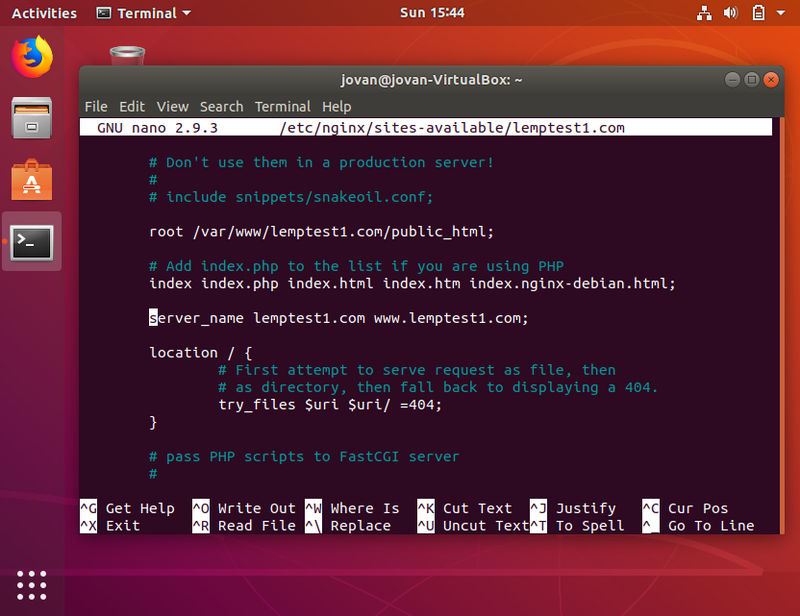 We’ve successfully configured a LEMP stack server in Ubuntu by installing Nginx, MySQL, and PHP. Now you can build anything really from an FTP server, mail server, or even live chat relay systems. This is a very manual installation process and there are much easier ways to configure servers with everything already built in. Services like Docker, Vagrant, and even Amazon’s AWS EC2systems get servers configured quickly in just a matter of seconds, but it’s important to understand the underlying technologies in your server when it comes to troubleshooting issues on the fly. Hope you enjoyed or at least learned something while following along. Follow me on Twitter @jovansn0wand visit my personal website at www.jovanshernandez.com. Please leave suggestions, questions, or input in the comment section. Cheers!